Debbie and Bill would love to talk to you about your dream kitchen or bath. 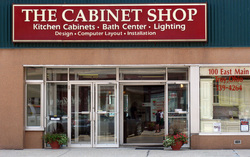 Stop in our showroom in beautiful downtown Troy, just one block east of the fountain. One block east of the fountain in Downtown Troy.